Digestive wellness, Naturally At Renew Life, we believe a healthy gut is a happy gut. 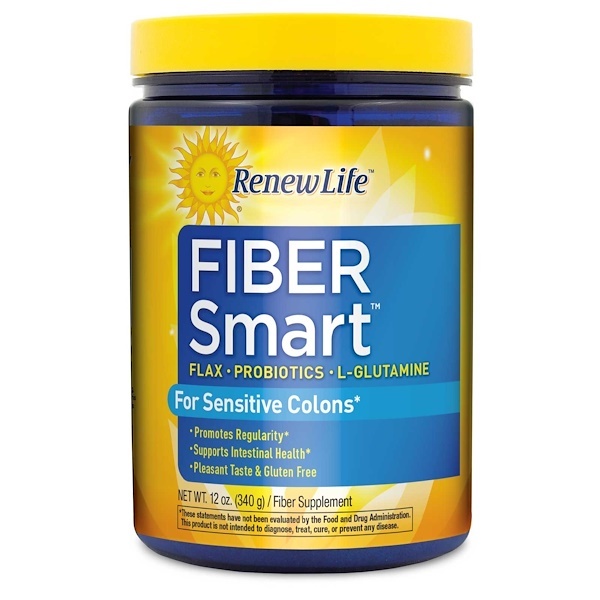 Fiber Smart is a high-fiber supplement ideal for those with sensitive digestion, occasional gas, bloating, and constipation. 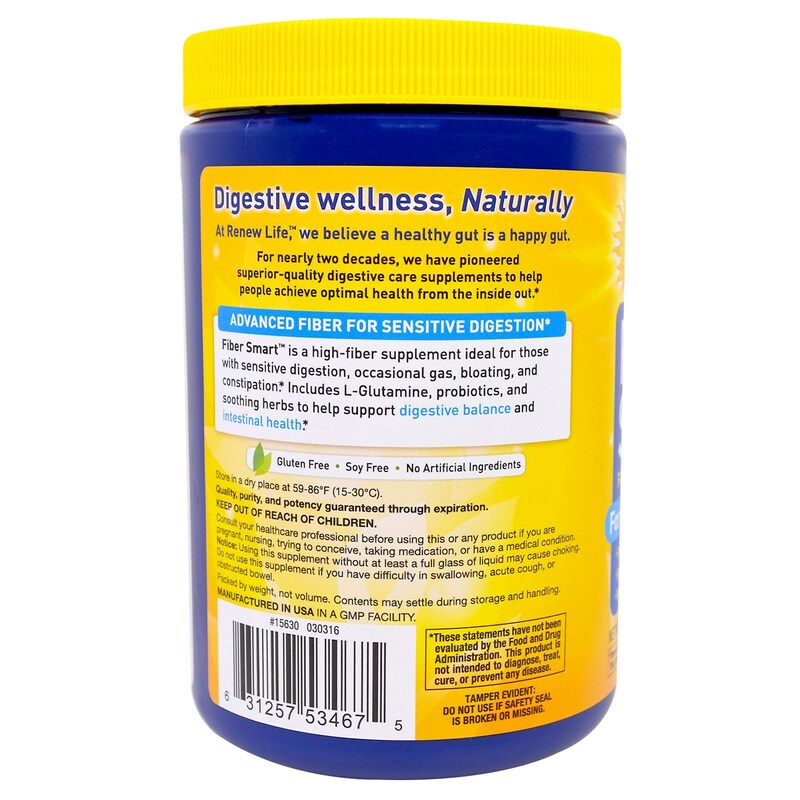 Includes L-Glutamine, probiotics, and soothing herbs to help support digestive balance and intestinal health. Take one scoop in 8 ounces of water or juice. Drink plenty of water while using this product. 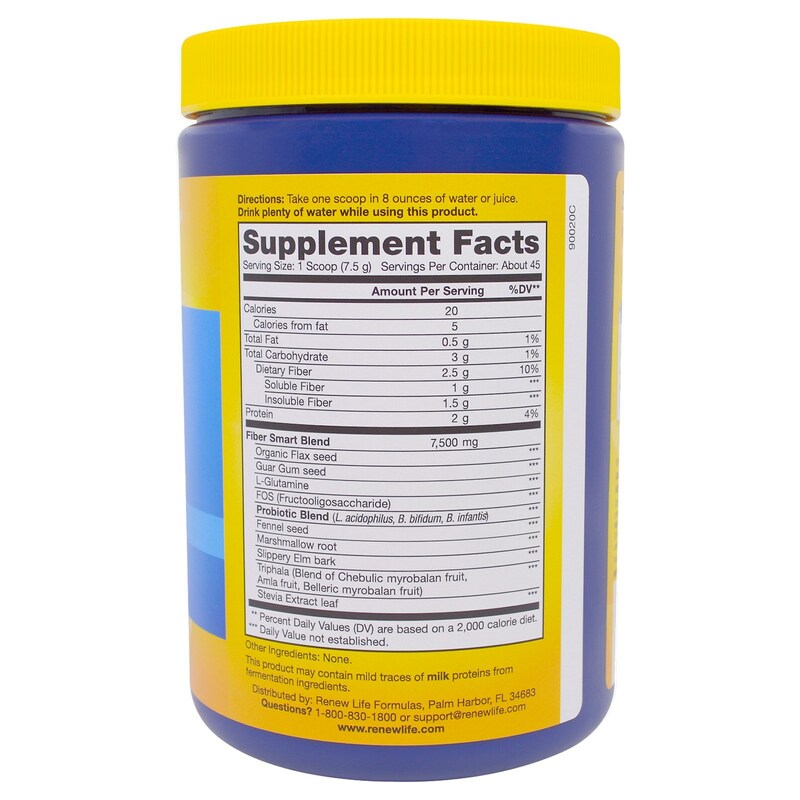 This product may contain mild traces of milk proteins from fermentation ingredients. Store in a dry place at 59-86ºF (15-30°C).